When the challenge posed by the adversary is tough, even seemingly inflexible ideolo­gical ‘lines’ can be bent. On the very first day of its party congress held in Hyd­erabad from April 18 to 22, the CPI(M) amended the political resolution it had adopted in its central committee meeting in January in Calcutta. In the party’s 54-year history, this was a first and it marked an urgency, according to some Bengal Communists. Speaking to Outlook after the party congress concluded, former CPI(M) central committee member Gautam Deb says it’s “the need to set things right without further delay”. Deb was among those to have supported general secretary Sitaram Yechury’s proposed draft during the Calcutta meeting, which advocated working with other secular democratic parties, namely the Con­gress, in order to fight the BJP. 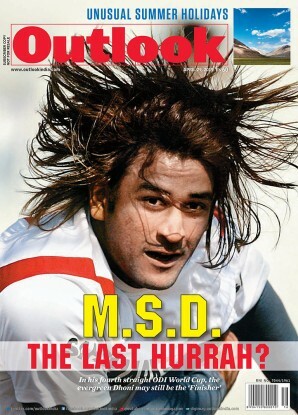 In fact, most of Bengal’s CPI(M) leaders were fav­ourably disposed towards this argument, known as the ‘Yechury line’. In the January meeting, it was rejected outright. Three months down the line now, a middle path has been adopted. In short, though a political alliance with the Congress has been ruled out, an understanding and coo­peration with secular parties, including the Congress, with a goal to combat and oust the BJP, is not. A section of the Bengal CPI(M) blames its calamitous defeat in the 2011 assembly elections, when it lost power to Mamata Banerjee’s Trinamool Congress after a continuous reign of 34 years, to its severing ties with the Congress—CPI(M)’s withdrawal of support in 2008 to UPA-1 at the Centre still rankles with some. That break drove the Congress into the Trinamool’s waiting arms, thus unifying the votes against the Left Front. However, subsequently, political experts have dismissed the idea that the CPI(M) lost bec­ause of the alliance. “The party lost owing to three decades of anti-incumbency and because the Trinamool finally provided an alternative,” explains political scientist Biswanath Chakraborty. For a particular section of the Bengal CPI(M), the Hyderabad party congress was a ‘do or die’ affair. “We were sure of what we wanted. The option of keeping our door open for the Congress was high on our agenda,” says a former CPI(M) MP, adding that “even a split in the party was being discussed if the hard line taken by the central committee in Calcutta was not softened”. The issue of whether the CPI(M) would stick to its political resolution vis-a-vis the Congress became a key focus of the party congress not just for the sake of the party’s unity, but because many members felt it would determine the course of regional and national politics. If the saffron tide in Bengal has to be stemmed, they argued, ‘democratic and secular’ forces have to unite. “The Congress-CPI(M) alliance in 2016 was premature. We’ve to work to gain people’s trust and be credible,” says Mohammed Salim. Party members do not confirm if the debacle in Tripura prompted the ret­hink, but when the steering committee recommended the amendment, the hardliners didn’t put up a fight. In the amended political draft, the words “without having an understanding with the Congress Party” was rem­oved, though the phrase “without having a political alliance with the Congress Party” was retained. This was felt to be a ‘middle of the road’ app­roach which, without compromising the ideological or economic position, did not rule out working with other secular parties in order to fight communalism. Importantly, the subtle change in line is also being seen in the light of the so-called rift between 65-year-old Yechury and influential ideologue Prakash Karat, 70. 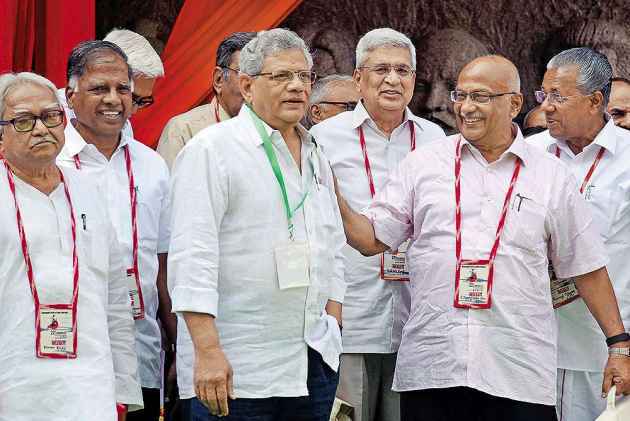 Just as the central committee’s app­roval of the earlier political draft was being called a loss for Yechury, some analysts are terming the current changes a defeat for former general secretary Karat, who strongly advocates the party’s working independently, without the Congress. “The Congress and the CPI(M) are working together to stand up to bloodshed and anarchy over panchayat polls,” says Nilotpal Basu. Party insiders, however, deny any rift. CPI(M) MP, politburo and central committee member, Mohammed Salim told Outlook, “There is no truth to reports of a rift between individual members.... There are diverse views and strong opinions, but the party congress in Hyderabad proved that...though there are heated exchanges and arguments, in the end we speak with a unified voice.” Salim also said that while the party’s decision on the Congress was important, it was not the sole agenda: “It was our party congress and not a congress of the Congress Party”. Indeed, the party congress also ushe­red in a new central committee and Politburo and re-elected general secretary Yechury to a second term amidst speculation about the split between hardliners and moderates of the Bengal unit, who support him. According to experts, the CPI(M)’s Bengal unit stands firmly beh­ind Yechury. “This is because of his pro-Congress stance,” explains political commentator Tarun Ganguly. But he adds that the CPI(M) politburo and central committee, in spite of the revision in posture, are still reported to be “tipped in favour of the Prakash Karat line”. Truth be told, the Bengal CPI(M)’s not strictly adhering to the party line and hobnobbing with other parties have come in for criticism earlier from ideological purists. In an earlier interview to Outlook, former Left minister and CPI(M) veteran Ashok Mitra expressed concern that the party was “fighting against the Congress for 30 days of the month and supporting it in some issue on the 31st. (He was specifically referring to the CPI-M’s support for Pranab Muk­herjee as a presidential can­di­­date)”. This, Mitra had said, led the party away from a path of people’s movements based on specific principles and ideologies. However, the just-concluded party congress is supposed to have inducted more supporters of the Yechury camp. Of the 95 members of the central committee, 19 are new entries; at least half of them are said to belong to the Yechury camp. And newly-elected Politburo members from Bengal include ‘moderates’ like Tapan Sen and Nilotpal Basu. Mistakes have to be learnt from, not dwelt upon obsessively. This time around, Bengal’s comrades trust on astute planning for the new political draft to be a game-changer for Bengal in the near future.